» Bringing Home the Bacon – I’m a Cancer Survivor with Meat on the Menu. 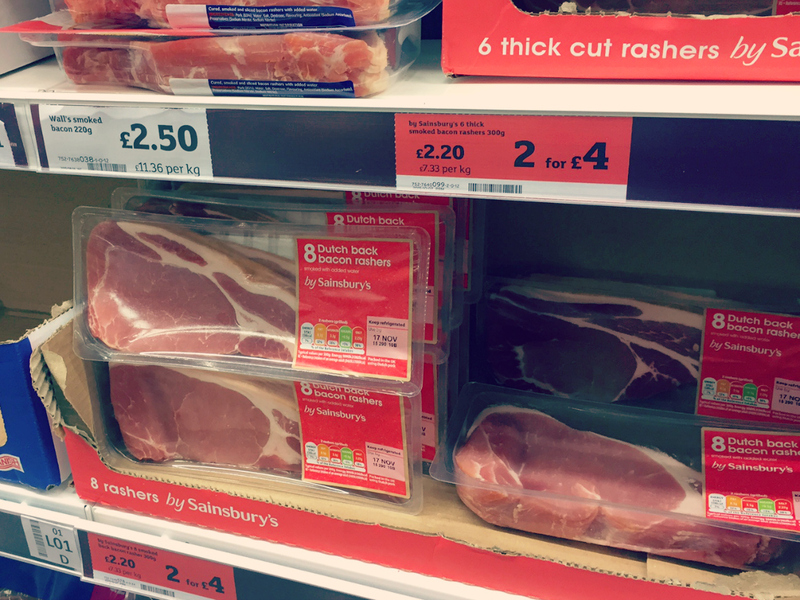 Bringing Home the Bacon – I’m a Cancer Survivor with Meat on the Menu. This week, the World Health Organisation (WHO) classified processed meat as being carcinogenic to humans and red meat as a probable carcinogen. Bacon has become the darling of the foodie world over the past couple of years, with bacon-flavoured popcorn, milkshakes and lollipopson the market, so does this new labelling mean that a package of bacon will be slapped with a warning sticker, and every hotdog will come with a side of medical advice?Although the overall risk of developing colorectal cancer is small, headlines citing an 18% increase in colorectal cancer risk from consuming one 50 g serving of processed meat per day (approximately one hotdog) have led to consumer concern – including the (incorrect) assumption that eating 5 portions of processed meat would therefore lead to a 90% certainty of developing colorectal cancer. Let’s examine the real risk. The average person’s risk of developing colorectal cancer is approximately 5%. If the WHO data suggesting an 18% increase in risk is correct, a daily 50 g serving of processed meat increases that risk to 5.9 % (an increase slightly less than 1 people per 100), of which between 0.65 – 5.4 people will survive for 5 years or more (depending on cancer stage at diagnosis). Despite the increase in meat consumption over the past century (and therefore assumed increase in processed meat consumption due to changes in dining habits and food availability), the death rate from colorectal cancer has dropped over the past 20 years. Moreover, in media articles discussing the WHO announcement, there is no mention of mitigating factors such as fruit and vegetable consumption. What happens if I eat 50 g of bacon within a huge salad with a side of oat bread, a meal high in dietary fibre, which is cited as having a protective effect against colorectal cancer? Or if I eat bacon after running five miles, given the role of exercise in preventing cancer? As with so many other health risks, it’s almost impossible to assess the impact of meat consumption in isolation. Both alcohol and cigarettes are already listed as carcinogens by the WHO, yet how many people have actually forgone a glass of wine or pint of beer based upon the fear of cancer? By contrast, how many have cheerfully raised a glass to headlines stating that red wine may have beneficial health effects? Rather than health benefits, this announcement may reduce meat consumption by people who are most vulnerable to health complications from nutrient deficiencies (e.g. growing children, pregnant women and elderly people); not to mention the undoubted glee of anti-animal agriculture groups who will welcome the gift of further ammunition against meat consumption. As a cancer survivor, I am the last person to downplay the importance of minimising cancer risk. However, ultimately we will all die and almost everything we do, from driving a car to choosing salad ingredients, carries some risk to health. Rather than the continuing mass of conflicting evidence, where every week a new article warns us about the latest cancer-causing drug/chemical/food; we need a balanced assessment of all cancer risks in order to make the best choices. I don’t smoke and I have had less than 10 alcoholic drinks in the past 2.5 years, but bacon remains on my dinner menu tonight.